I was to discover, through him and two people I’d meet senior year, that I had a tendency to find guys like this, who would be down on themselves and need me to encourage them and tell them they’re not so bad as they think. This is what I did for Phil. I also told him that his old desire to become a priest showed him to be a very spiritual person. I said I had always admired spiritual people, such as priests, pastors or missionaries, and he began to weep with (I suppose) joy. Phil told me early on, “My parents say you’re another me.” They saw the way I was then–shy, quiet, spiritual–and the way Phil was the year before–shy, quiet, spiritual (he was more outgoing and less quiet now)–and said this. Over the coming months, they would say that we were perfect for each other. Every day when classes allowed, Phil came to talk to me while I worked in the library. I did miss having a chance to get more homework done, but didn’t mind seeing him. He would stand there and chat, his two Big Slam Mountain Dew bottles beside him. He would try to drink the Dew there, but Seymour didn’t like that. There were rules against that. Phil liked to spend his evenings with me, but after ten, Clarissa kicked him out. So we had to go into the lounge to spend the rest of the evening. Sometimes I even watched Alternative Nation out there with him, since even a boyfriend wasn’t enough to make me want to give it up. Without it I felt sad, incomplete (sort of like the King Missile guy without his detachable weenie). We’d cuddle on the couch and chat for hours. Phil watched Beavis and Butthead, and though I used to hate it, he got me into it. He said he’d disowned S– High School (I forget if his alma mater was North or South) because he recently discovered the guys there now were all Beavises and Buttheads. He grew his beard back because I said I liked him better with his little beard. Dave would yell at him to shave, and Phil would say somebody didn’t want him to. It grew in sparse and reddish, with several hairless spots: a sort of birthmark. I liked it that way. Phil was in Roanoke Singers, which paid $200 a month: far better than what the rest of us got in work-study. I could never understand why Dave kept yelling at him to get a job, because he had one. He used half his paycheck to pay for tuition each month, and the rest for food, gas, maintenance and car payments. He kept running out of money and asking people to lend him some. By the 15th of every month he owed so much to people that by the time he paid it back, he’d have to start borrowing again only a short time after. It was a never-ending cycle, and though he did always pay back what he owed, I found my own wallet getting emptier all the time. I could usually pay for my food in the Muskie and for snacks and laundry, but would desperately need Phil to pay me back come payday. It seemed as if Phil had more of my money than I did. The following fall, this was one thing I did not miss. 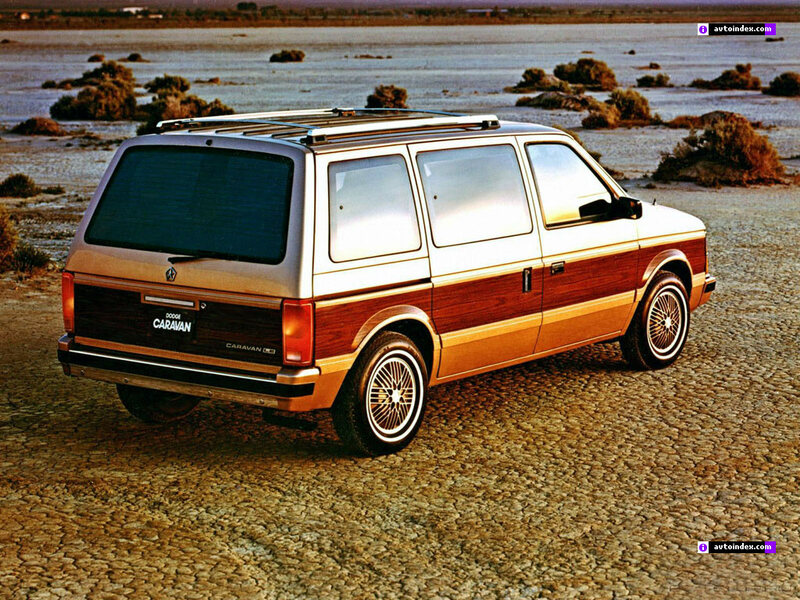 Phil’s minivan was a Dodge Caravan, the kind that was so popular that year: boxy, wood paneling. Where there was paint instead of paneling, it was brown. It was used (1985, according to a Firestone receipt), which confused me because I thought that model had only just come out. After all, a model exactly like it was so popular that year that it seemed there was one in nearly every parking lot or driveway. We thought this was funny. Phil had three dolls in his minivan: Ren and Stimpy, and Family Dog. He handed these dolls to me nearly every time I got in the minivan: It was my “job” to hold them. Early on, Phil wanted us to find “our” song. We chose “I Can See Clearly Now,” the remake by Jimmy Cliff, because it had been one of my anthems that school year, and was also on the soundtrack for our first movie, Cool Runnings. Whenever we heard it, we turned it up. But I don’t think that in my mind it ever had quite the huge association with Phil that “Everything I Do” had with Peter. Since Phil and several of my friends were in choir, I heard about the single choir director and saw her little, yellow sports car. It was a peculiar yellow, kind of a dark yellow. The choir people loved it, and found the director amusing in a good sort of way. They liked the way she acted, the tips she gave, the way she directed, the way she said to say “watermelon” if you don’t remember the words because it really does look like you’re singing the right ones. Heidi’s friend Paul was in choir. Phil told me that Paul’s hearing aid dog Maizie often accompanied the choir during practice. The choir would hit a high note and Maizie would start barking or howling along with them. On Sundays I still liked to go eat with my friends in the cafeteria during dinner, as before, taking Phil with me. But now, Phil kept wanting me to leave them right after I’d eaten. I always wanted to stay and chat and joke with my friends, but he’d sit or stand there with a stern look on his face and tell me he wanted to go. I’d try to resist, but he would practically make me leave. My friends noticed this and maybe other things I missed, and began to dislike him. They thought he treated me like a child, that he was controlling, domineering and possessive. He noticed that they didn’t like him anymore, but blamed this on his being Catholic (they were mostly Protestant) and supposedly socially annoying. So he didn’t like them, either. I don’t know how I didn’t notice this when we kissed, but he did not brush his teeth very often. He also didn’t bathe very often. He had this thing against showers which I won’t explain on the Net, yet he didn’t take baths instead. I guess my nose slowly became immune. Whenever Phil drove me to or from school on the road to S–, we passed a cemetery, and Phil held his breath. He had this childhood superstition that if he breathed by a cemetery, he would soon die and be buried there. Last I checked on Facebook, he’s still alive. Once, we saw a dead cat by this cemetery, which upset us. How ironic that the cat would be killed by a car right by the cemetery. The Plymouth Neon car debuted in 1994; the TV ads for it featured cars with froglike faces bouncing all over the place. When it stopped and faced the viewer, the caption “Hi!” appeared underneath it. There was a billboard right by the cemetery, and one day, an ad for a Neon was put on it. It had a picture of a Neon facing the viewer, and said, “Hi!” It looked as if the car was trying to say hi to the people in the cemetery, but of course, none of them returned the greeting. Phil and I found this hilarious. Though Peter had once been welcome in the O’Hara house, he was now ostracized: He tried to back up the computer or something like that, and ended up crashing the hard drive. Everything had to be re-installed, and it was a big mess. Phil and I thought it was unfair of his family to ostracize Peter, since he didn’t mean to crash the hard drive. I asked Phil when the best time was for taking a shower. He said nighttime, and that even though it was late, no one could hear the shower. So I took mine that night. I also shaved, which I think I did with just the faucet occasionally running and not the shower after I bathed. Then I had to rinse off the shaving cream with the shower, turned off the shower, squeezed out my hair and ran my hands under the faucet to rinse off any hairs that may have come off from my head onto my hands. Then I dried off, got out of the shower, put on lotion, put some kind of leave-on conditioner in my hair and combed it, then left the bathroom. After I came out of the shower, Phil said his dad had come to him and complained about somebody using the shower and keeping him awake, and turning off and on the water about three times. I asked if he explained that he told me I should shower at that time, but I don’t believe he did. I was upset because I had specifically asked and then done what I had been told was the most polite thing to do, and still was accused of rudeness or not thinking of others. At times I wondered if Phil’s dad hated me, because there were other things as well, such as Phil’s parents telling him (later that semester) that I didn’t live there. (At this time, Phil would say to me, how could he tell them I was his wife and had a right to be there?) Then there was the phone. I would only use my phone card to call long-distance from Phil’s house, which I don’t think I did all that often. And since I used the phone card, I didn’t see a need to ask to use the phone. I remember only one time when I used the phone to call home, and of course I used the card. I got off the phone feeling happy because it was a good chat with my parents. Later, Phil told me that his dad found out I was calling home–I believe Dave told him, intending to get me in trouble–and got upset. He complained about me using the phone for long-distance, and not wanting to find a charge on the bill for a call to South Bend. I believe it was Phil who said, “Maybe she uses a phone card,” and calmed him down a bit. I was upset about this because yes, I used a phone card, no, I was not rude and thoughtless, and why didn’t he ask me first before assuming that I was running up his phone bill and getting all mad at me? If he didn’t believe Phil that I used a phone card, he certainly should have believed it when he looked at his next phone bill and there was absolutely no charge for a call to South Bend.